The Sun-Sentinel is a newspaper out of Fort Lauderdale, South Florida. They have a print newspaper and an online presence at www.sun-sentinel.com. The Reverend Bob Coy, a pastor at Calvary Chapel in Fort Lauderdale, writes several columns a week for the Sun-Sentinel where he speaks about faith and (Christian) religion. …to emphatically deny the existence of God is illogical. You can conclude that something exists on limited information, but a conclusion that something does not exist requires omniscience, which oddly enough happens to be one of the divine attributes that makes God who he is. Whether an atheist consciously admits it or not, he or she would have to know all things in order to conclude that there is no God. Otherwise, the conclusion is subject to unknown information that would contradict the core of the belief. To base one's eternal destiny on such a flawed theology would be foolish, since we can easily concede that no individual can possibly know all things. Wow, apparently courses in logic or reasoning are not required in Rev. Coy's Bible College. I guess that is one of the reasons why Calvary Chapel Bible College is unaccredited. Have you already spotted Rev. Coy's mistake? It should be easy since religious people keep making this mistake over and over again. In 1952 Bertrand Russell introduced the teapot analogy to show that proving God's existence is the responsibility of religion. It is NOT the responsibility of the Atheist to DIS-prove the existence of God, or any gods. Rev. Coy is correct in that it would require omniscience to disprove any god, but it is also correct to say that omniscience is required to prove any negative. Obviously the burden of proof is on the person making the claim of the existence of God. To demonstrate Russell's teapot analogy, let's say that your neighbor tells you that there is a china teapot in orbit around the sun, somewhere between the Earth and Mars. It is too small for anyone to see through any of our most powerful telescopes. Your neighbor then tells you that since you cannot disprove the existence of this teapot, you MUST believe it to be true! It would be illogical for you to be a 'teapot Atheist' since it would require omniscience on your part to disprove its existence. What this analogy reveals is that there are a great many things that we don't believe in, simply because there is no reason for us to believe them. Atheists have taken the teapot analogy and stretched it to even more absurd lengths to prove this point. 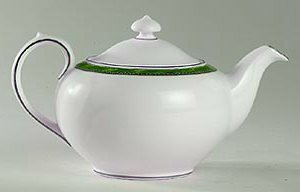 Other forms of the teapot analogy include The Invisible Pink Unicorn the Flying Spaghetti Monster, and Last Thursdayism. Pascal's wager, in which Blasé Pascal uses decision theory to 'prove' that belief in God is the only logical position to take, is also neatly destroyed by the teapot analogy. If you believe in God, and God exists, then you go to heaven. If you believe in God, and God does NOT exist, then you lose nothing. If you don't believe in God, and God does NOT exist, then you lose nothing. If you don't believe in God, and God exists, then you go to Hell. Believing in God has no downside, but not believing in God could result in an eternity in Hell. So according to Pascal, belief is the only 'logical' position. When you apply the teapot analogy to Pascal's wager, you realize that there are more Gods to believe in than just Yahweh, the god of the Christian Bible. What about Allah, the Islamic God? The Islamic Hell is just as permanent as the Christian Hell, and it is impossible to follow the practice of Christianity and be saved by Allah. It is impossible to follow the practice of Islam and be saved by God - the two religions exclude each other. There are other religions to consider, such as Hinduism, Jainism, Buddhism. What if one of these religions is the One True Religion? I know that Christianity says that the Bible is proof that Christianity is the only true religion, and that there is historical evidence of Jesus. But the Koran is 'proof' that Islam is the only true religion, and there is even more historical evidence of the existence of Islam's Muhammad than there is of Christianity's Jesus. They can't both be right! The only reasonable position for a 'logical' person to hold is to suspend belief in all Gods, until such overwhelming evidence is presented to prove the existence of God(s). Rev. Coy's mistake is easily realized when we examine his own beliefs. Rev. Coy believes in the Christian God, but Rev. Coy is an Atheist when it comes to Zeus, Allah, Bal, or Visnu and Shiva. I'm sure the good Reverend has excellent reasons for being Atheistic towards all these other religions. Or to paraphrase Richard Dawkins in his mini-series, "The Root of All Evil," Christians are Atheists when it comes to all other gods. I just go one God further than they do. How do you know that Allah and Yahweh aren't just two different ways of seeing the same god? The Koran says that there is no god but Allah. It teaches that Jesus is only a prophet, like Moses, like Muhammad. To say that Allah fathered a divine child is sacrilegious to Islam. As long as Christianity and Islam disagree about the divinity of Jesus, and his parentage, then they won't accept each other. Okay, it's not cool to copy large parts of my blog and post them as comments to the blog entry they were copied from. If you've got something to say, say it. Don't screw around with my blog. It's also not cool to use my blog to advertise your music, your blog, or your herbal remedy for ED.